Judging human conduct and governmental actions is a very unpleasant task and Judges are endowed with that official duty. No wonder when stern Judges retire after long years of public service many of the lawyers do not attend their farewell function. I am reminded of a wonderful Chief Justice of the Supreme Court, who raised the image of Supreme Court so high in the eye of general public and Government and all private and public authorities, retiring from the Supreme Court without getting a formal farewell function from one particular association of the lawyers. The reason they cited was that he did not heed to their demands! But then his farewell function by the Supreme Court Bar Association was eagerly attended by large number of lawyers and the Press reported it with great enthusiasm. Another category of Judges are those who hear every single lawyer and give some relief without displeasing anyone. They are pro-bar and are usually, liked by all of us, practising lawyers. 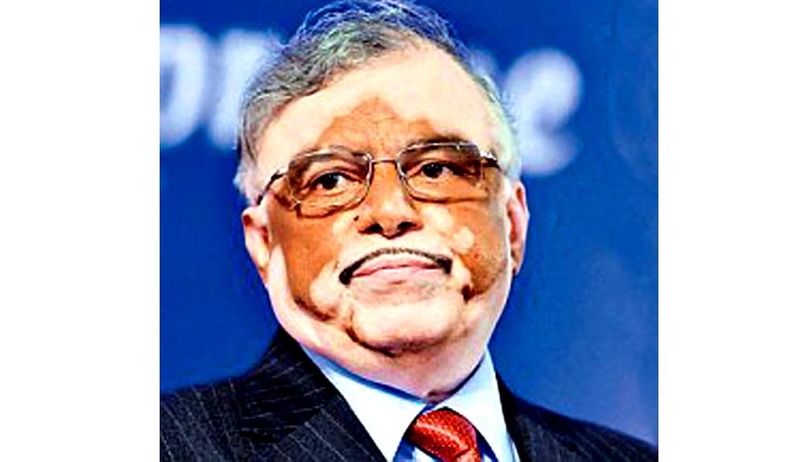 Chief Justice Sathasivam was neither of the above. But still he commanded good respect and love and affection of the Bar. That was evident during the farewell function arranged by the Supreme Court Bar Association today on his last working day on the Bench before demitting office on the forenoon of 27.04.2014, which fell on a Sunday. Justice Sathasivam had a great quality which any lawyer would expect and like to see in a Judge. i.e., Patient listening. He had no ego whatsoever, even after sitting in the top Court for long and occupying the highest office of the Chief Justice of India. I still remember when he was appointed to the Supreme Court, many High Court lawyers, not only from Madras, his parent High Court, but also from Punjab and Haryana, where he served as a Judge, flowed to Supreme Court to witness his elevation. Such was the warm affection they showered upon him. I still recollect, I had asked a lawyer from Chandigarh High Court about the Judge and he reacted: “he does not get angry, he listens patiently, does not ridicule or humiliate Advocates, what more do we want?”. The lawyer was right.During his tenure in Supreme Court for the last seven years, Justice Sathasivam never lost patience, never humiliated any lawyer and patiently heard the matters without an iota of ego and was always ready and willing to correct himself, if he realized he was wrong. In public meetings, he said, rightfully with pride, that he has studied in a local Government school and did not have much financial resources. He used to welcome Government’s initiative to extend mid day meal scheme, especially nutritious meals with egg etc. to young children. He came up through hardwork and was proud of that. Justice Sathasivam’s observations in Reliance case regarding the importance of the use of natural resources through public sector undertakings are often quoted. The ability and magnanimity to correct himself is the quality which I appreciate most in him. I will cite two examples, in the Australian Missionary Graham Staines murder case, a Bench headed by Justice Sathasivam and Justice B.S.Chauhan gave a verdict imposing life sentence upon the convicts. One particular observation regarding religious “conversion” undertaken by the slain Missionary was painful for some Christian Organizations. They demanded a change in those observations and the same Bench agreed and expunged those observations. That was exemplary. Those religious organizations, as well as the wife of the slain Missionary, exhibited true Christian spirit and welcomed the judgment and said that they never wanted death sentence. Another example I could recollect is very recent. In Rajiv Gandhi assassin’s case, a Bench headed by Chief Justice Sathasivam had passed a judgment commuting the death sentence of seven convicted prisoners to life imprisonment. It was hailed by living legends like Justice Krishna Iyer. But towards the concluding paragraph of that judgment, an observation, in my humble submission, an unnecessary observation was made with regard to the power of remission by the State Government. The State Government of Tamil Nadu took the opportunity and swung into action announcing immediate and indiscriminate release of all the prisoners without considering any individual background of each of those accused. The Central Government urgently approached the Supreme Court for stay of the State Government’s decision. What was reported in newspapers as fallen from the Hon'ble Chief Justice was more than assuring. “We are responsible for this problem. We will solve it within a week.” Such was the magnanimity of this Judge , a Judge without any ego. Today, on his last day on the Bench, a Three Judge Bench headed by Chief Justice Sathasivam has referred to Constitution Bench the said issue. The learned Judge has done what he has promised. True, we are all human beings and we all make mistakes, be it the Chief Justice of India, or a less educated commoner. The ability to correct oneself can be exercised only by a truly gentle humanbeing and as long as the Judge is ready to hear and to correct his mistakes, no lawyer or party can have a grievance. All of us, lawyers, in different levels, raw juniors, lawyers with some years of standing and those eminent lawyers who command the highest number of matters in Supreme Court, the lawyers who have crossed the pinnacle of their glory and who refused to adorn the Supreme Court, all of us felt that we are appearing before an Honourable Judge of the Supreme Court. Though Chief Justice Sathasivam is retiring, we will all cherish the memories of appearing before this great Judge.